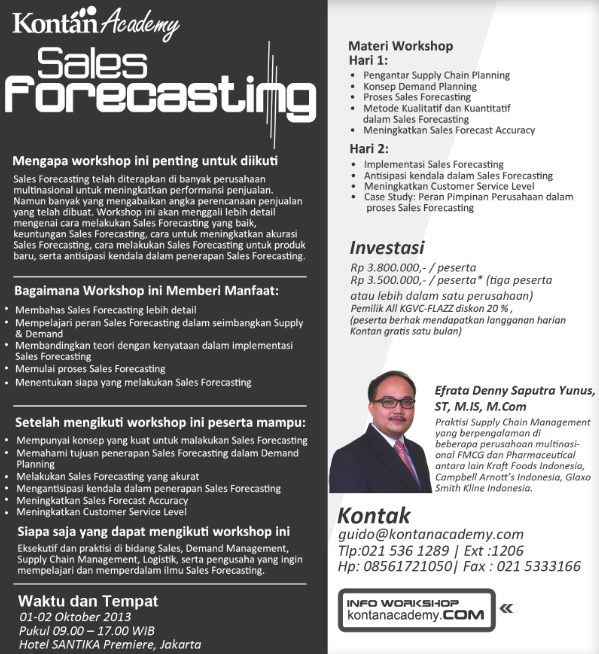 I will become a facilitator in Sales Forecasting Workshop by the kontanacademy.com. This workshop will be held in Santika Premier Hotel, Jakarta on 1-2 October 2013. Entrance fee is only USD 380. Grab your seat now 🙂 For you who want to know more about Sales Forecasting, this workshop is recommended.